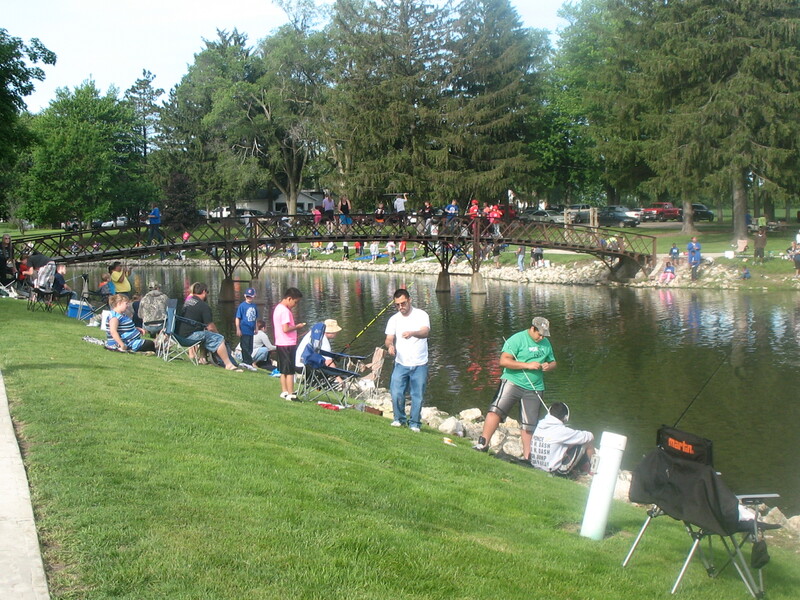 THE 2018 KEWANEE PARK DISTRICT/OLDEEN ROOFING FISHING RODEO WILL BE HELD ON SATURDAY JUNE 2nd FROM 8AM-NOON AT WINDMONT PARK. STARTING THIS YEAR, FISHING FOR THE ENTIRE MONTH OF JUNE WILL BE RESERVED FOR THOSE AGES 16 YEARS AND UNDER. THE LIMIT OF FISH PER DAY REMAINS AT 4. The 201 Fishing Rodeo was another huge success. The weather was beautiful, the fish were biting and the kids were having a blast. 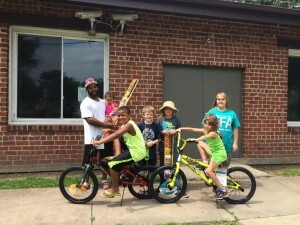 201 saw a little over 200 kids registered to fish. The 1st 100 participants received a free t-shirt along with a bobber and bait. Farm King and Walmart donated fishing poles given out as prizes. David Wiffels, a fish biologist from the Hennepin Canal also gave a presentation on fish and other marine wildlife. Thank you to all who made the Fishing Rodeo a great event for everyone. In 2014, the rodeo had a record number of participants at 245 which is about 100 more than in 2013. 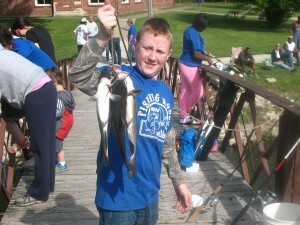 The largest fish caught during the event was a 26 inch catfish caught by Blake Lambert. The largest fish caught by a girl was a 22 inch catfish caught by America Sanchez. 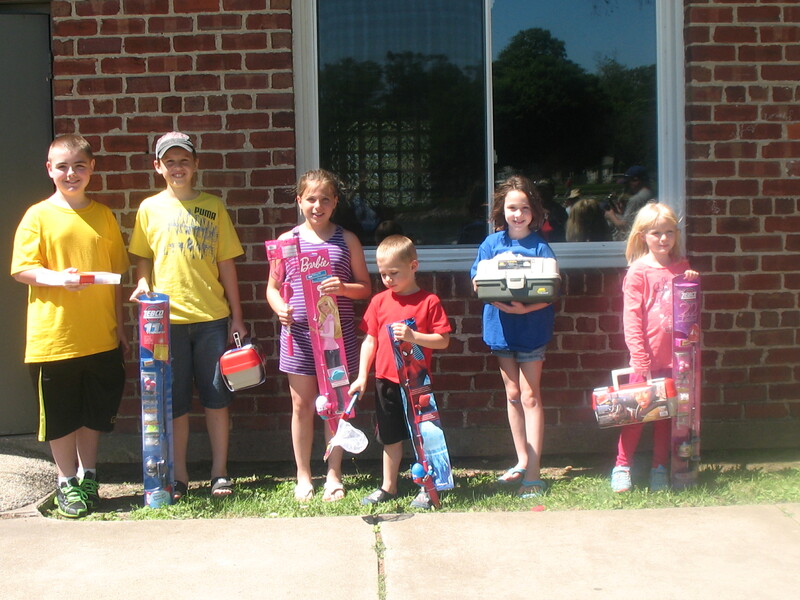 Other prize winners include: Matthew Ponce (most fish caught: 26), Gracie Goodman (most fish caught: 9), Future Fisherman Trophies: Jillian Taylor and Gunner Salisbury; Fishing Pole & Tacklebox winners: Kayden Russell, Brendon Lewis, Madison Dillender, Ryeland Trimmer, Annalise Evans and Emily Witte. The Kewanee Park District/Oldeen Roofing Fishing Rodeo is an annual event that started some 30 years ago. 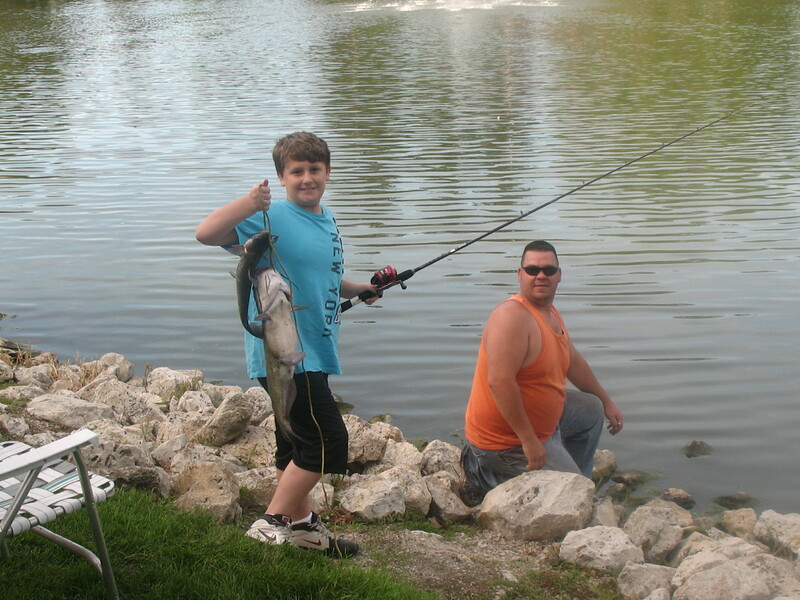 Rob Oldeen from R.A. Oldeen Roofing in Kewanee, IL stocks the lake at Windmont Park each year with catfish ranging from 1-3 pounds each. For the past 2 years, Mr. Oldeen stocked the lake with 3,000 pounds of fish. The fishing rodeo was started with the idea of – let’s teach kids how to catch, clean and cook fish so they can learn a process they can use their whole lives. 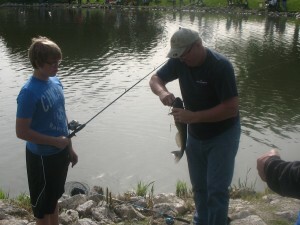 Kids 16 and under can participate in the fishing rodeo and other events of the day. 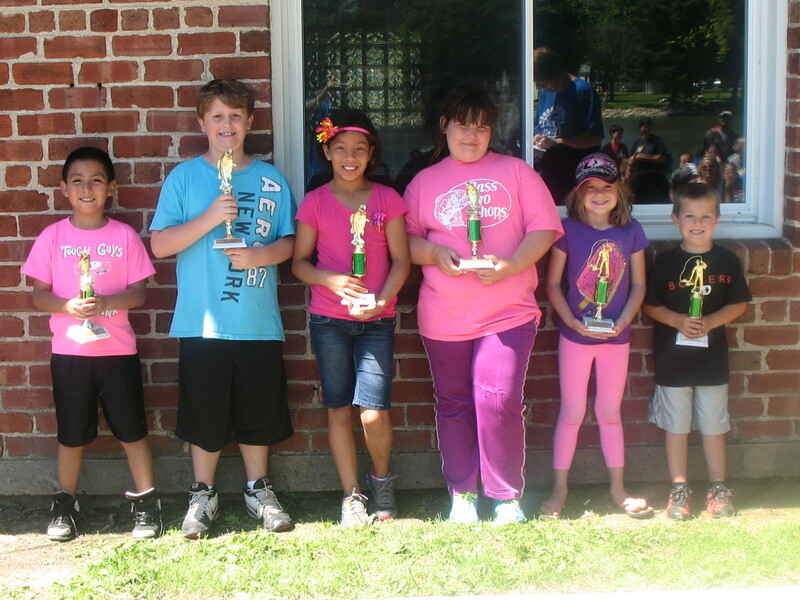 Trophies are given out for: Future Fisherman, Most Fish Caught and Biggest Fish Caught. There is also a casting contest for 3 different age groups: 7 and under, 8-10 years & 11 and older. Some of the prizes given out are fishing poles and fishing lures which are donated to the Fishing Rodeo by Farm King and Walmart. The first 100 children to register receive a free T-Shirt. Also on hand was Rick with the Department of Natural Resources. 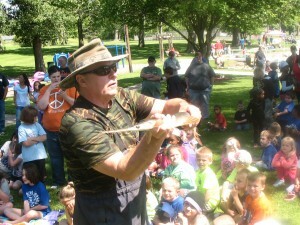 Rick put on a fish identification class for the kids participating in the rodeo. The class is also available to the parents and grandparents of the kids participating. In 2013, 2014, 2015 and 2016, the fishing rodeo received some extra help from the Walmart Distribution Center’s VAP (Volunteerism Always Pays) program. Employees from the distribution center donated their time to come out that morning and pitch in wherever needed. Each year the number of kids registered for the rodeo grows. There are no limits to how many kids can participate so we encourage all local children to attend, have some fun and learn a life skill they can pass on to other children some day. The Fishing Rodeo continues to be a great success each year because of all the hard work, dedication and donations of time and materials from everyone involved. Kewanee Park District would like to take the time to thank some of those people: Rob Oldeen, Ron Oldeen, Sharon DeSmit, Ken Clodfelter, Farm King, Walmart, Walmart Distribution Center and ALL of the kids, parents and grandparents who make the Fishing Rodeo fun. THANK YOU ALL!! 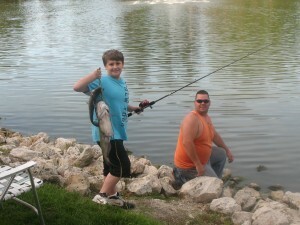 Each year for the Fishing Rodeo we stock Windmont Pond with Catfish. There are other types of fish in the pond but none that are stocked by the Kewanee Park District. Over the years, patrons have put various types of fish in the pond so there may be a wide variety. I hope this helps answer your question. If you have any further questions, please feel free to contact us at 309-852-2872. How soon can adults resume fishing at windmont. Adults can begin fishing at Windmont again on Saturday June 24, 2017. Until then fishing is limited to 16 years old and under. how many Fish are the Children allowed? There is a limit of 4 fish per fishermen and applies to all ages. Thank you for your suggestion. As the Derby is a free event for all kids 16 and under, we do not require registrations to be filled out which would make it very difficult to keep track of ages for the participants.